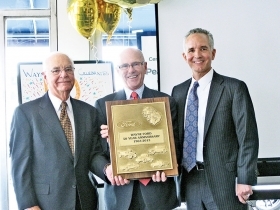 Frank Nappa,(pictured above) left, and David Nappa, right, of Wayne Ford in Wayne, N.J., receive a 50-year award from David Cook, Ford Motor Co.'s New York regional manager. Frank Nappa is chairman; David Nappa is president. 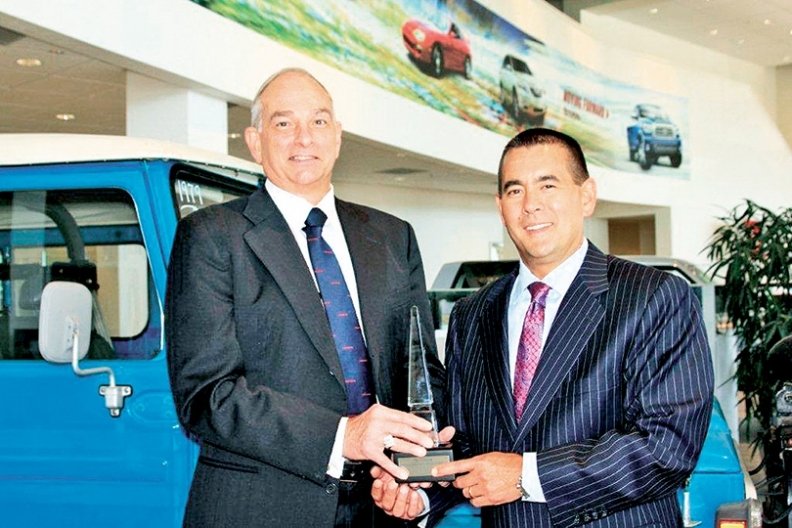 Art Stapp, left, of Stapp Interstate Toyota-Scion in Frederick, Colo., receives a 40-year award from Chris Schultz, Toyota Motor Sales U.S.A.'s Denver regional general manager.